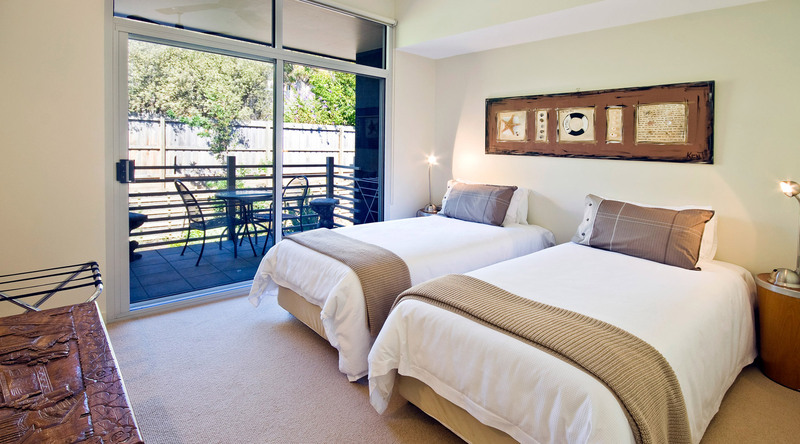 Make the most of your stay in Victoria’s favourite seaside town at our Luxury Holiday Apartment Lorne. 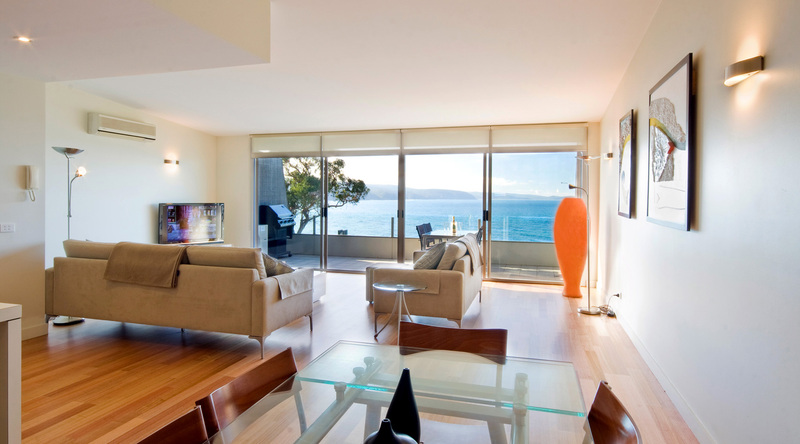 The top floor Bay Panorama penthouse apartment with it’s view of the sea and the coastline bay is a must. 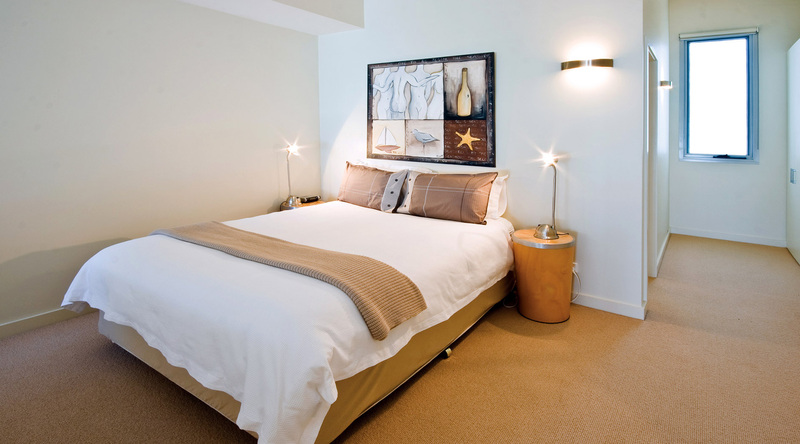 The stylish interior and luxury appointments will satisfy discerning guests. 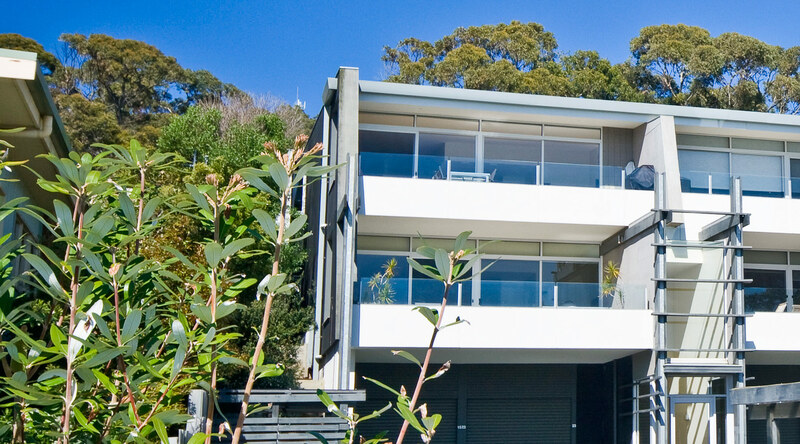 shops and cafe Bay Panorama is an individually owned and managed holiday apartment in Lorne. 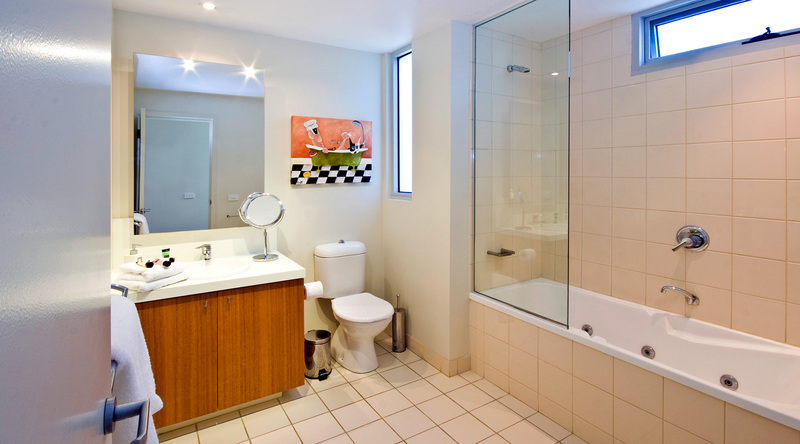 The Kalimna complex where our luxury holiday apartment Lorne is located in Lorne Victoria consists of two apartment buildings. The front building was converted from its Motel origins into strata title apartments some years ago. The three-storey building at the rear was designed and purpose built as modern holiday apartments. Bay Panorama is one of the top floor apartments in the rear building. 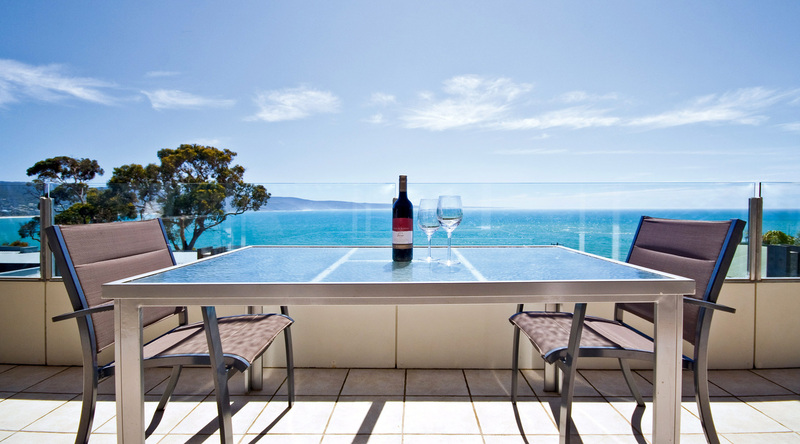 The extra height means that when you are seated in the lounge or at the dining table, you just see the water and coastline, with the front building below the viewing angle. 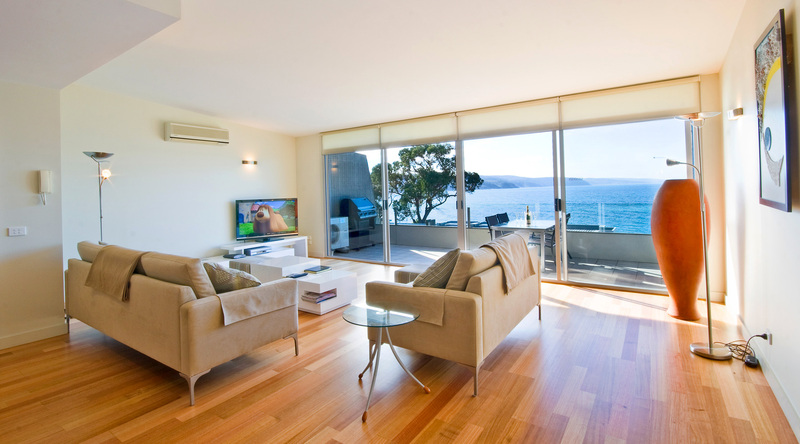 When you approach the living room’s wall of glass or step onto the sunny balcony, the vista widens to include the full panorama of sweeping Loutit Bay, its sandy beach on the left, to the Lorne Pier on the right. Being at the end of the building, the balcony has an extra window opening to the east, while the main northerly aspect captures the maximum winter sunshine. 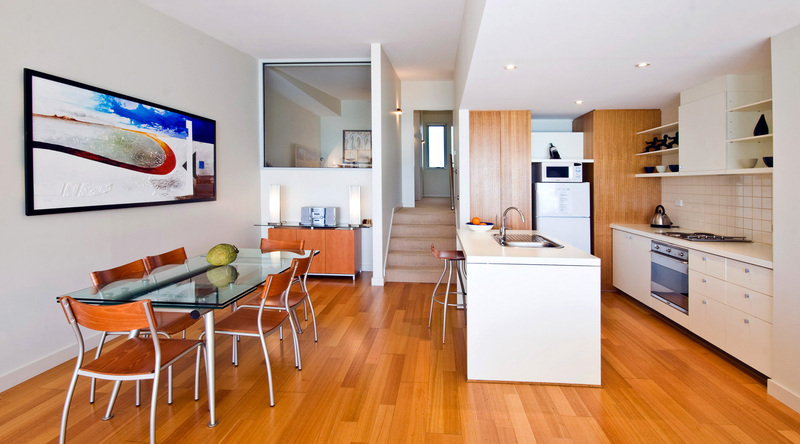 The interior of our Luxury Holiday Apartment Lorne is uncluttered and contemporary. 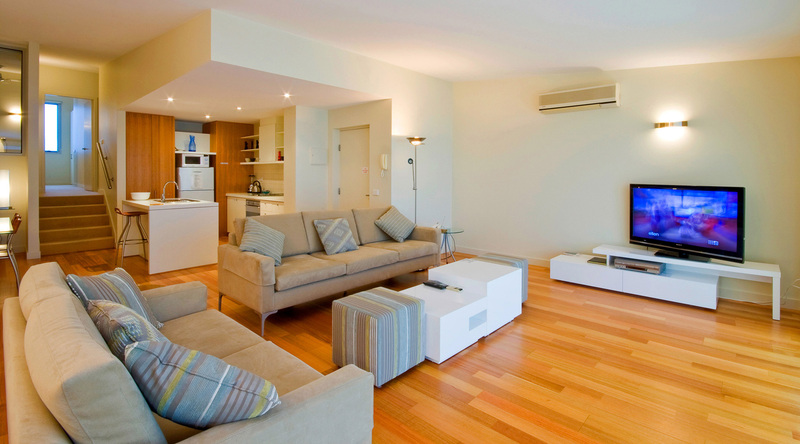 Polished floors serve the open plan living space. 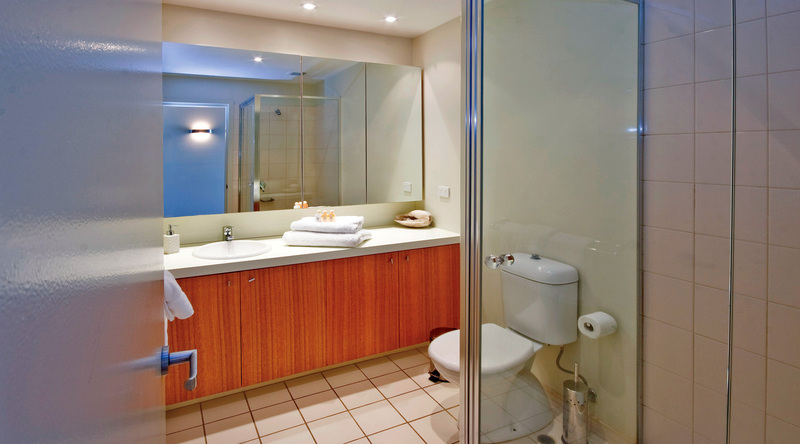 Off white and pale timber grain make for a light, bright environment. 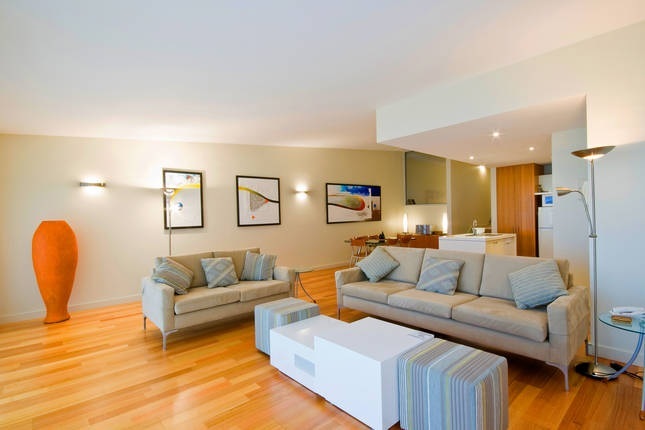 Large, low profile sofas define the lounge area directly in front of the windows. 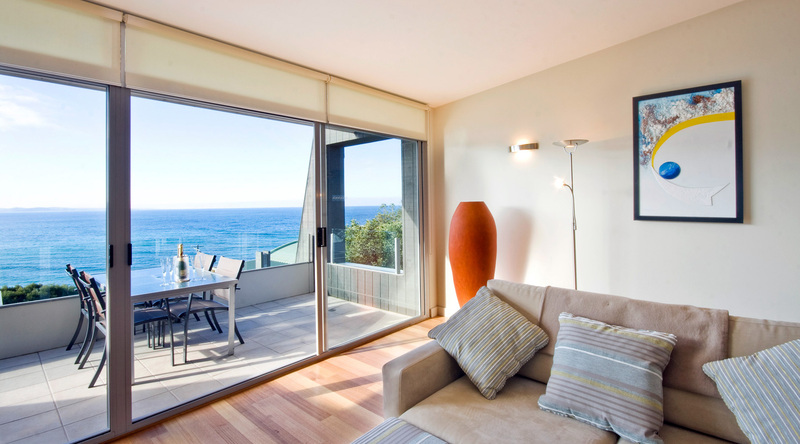 Sliding doors open onto the balcony where you can barbecue and dine outdoors. 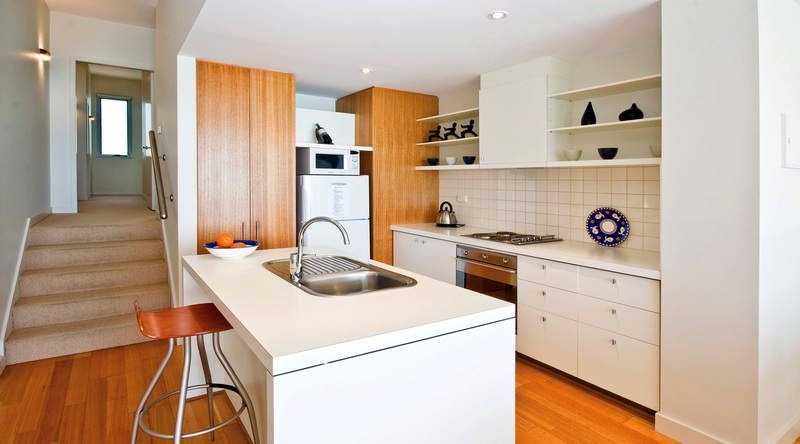 Back inside, the neat kitchen features an island bench and dishwasher. The dining table is a contemporary glass, timber and steel combination. Decorator art livens up the walls. There are a few steps up to the rest of the apartment. The main bedroom is located behind the dining area and has a large picture window which overlooks the living room to the sea view beyond. The second bedroom has its own private balcony at the back of the building.